If you like German-style beer, cider, and Polish culture – well then you’re in luck this weekend! And it’s all going down on Saturday. 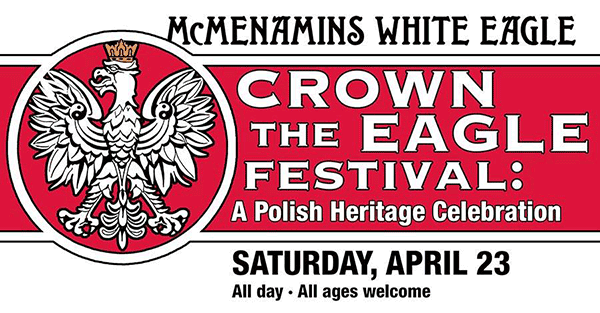 To celebrate its rich and historically significant past, the White Eagle hosts a full-day of Polish and Polish-inspired fare, featuring members of Portland’s Polish community, a lively history presentation, live music, sing-alongs and traditional food and drink specials. Join us to enjoy: Polish games & crafts, facepainting, a beer special and a Passport Discovery Hunt. 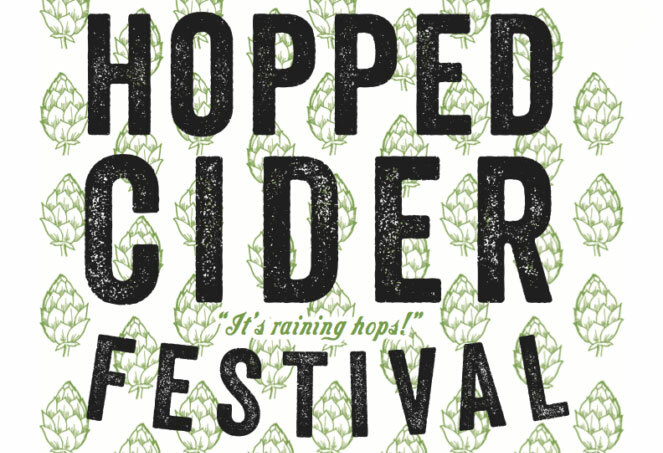 The third annual Hopped Cider Fest, featuring the finest hopped ciders from across the country for the greatest showcase of hoppiness ever assembled in the known universe, takes place Saturday, 23 April 2016 at Reverand Nat’s Hard Cider public taproom (1813 NE 2nd Ave). Most of the ciders (visit the event page for the full list) are made especially for the festival, and in addition to ciders from Nat’s other cideries participating include Cider Riot, Schilling & Company, Wildcraft, Finnriver Farm & Cidery, Wandering Aengus, and more. The $20 admission included a commemorative tasting glass and 7 tokens, each good for a 4 ounce taster. Additional tokens are $2 each. Celebrate the world’s oldest beer rules by drinking beers that break them! The German Beer Purity Law of 1516 turns exactly 500 years old on April 23rd, 2016. 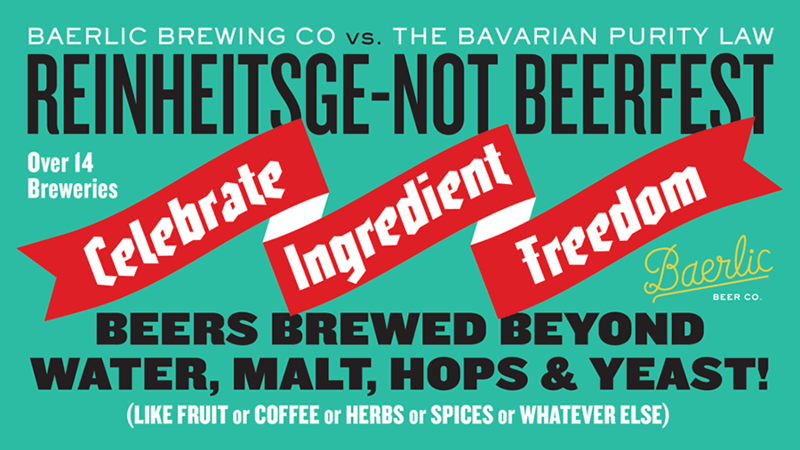 Also called the Reinheitsgebot, this law states that beer can ONLY be made from Water, Barley, Hops and Yeast. But that’s just boring! So we pulled together some our favorite breweries in the Northwest to brew some beers that break these silly beer rules. 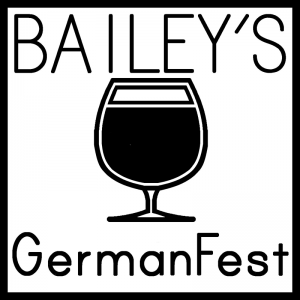 The 6th annual GermanFest takes place Saturday, 23 April 2016, at Bailey’s Taproom (213 SW Broadway). From noon until midnight enjoy German-style beers brewed by Oregon breweries, German sausages from Altengartz German Brand Bratwurst (parked out front), and – after 4pm upstairs – School of Krautrock, a German Electronic Music Chronology. Visit the event page for more details – including the full brewery and beer list.